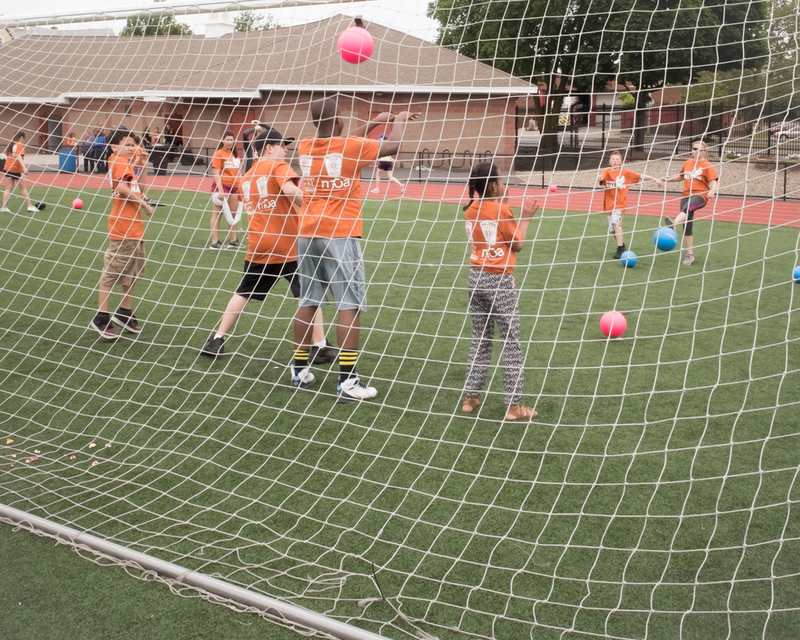 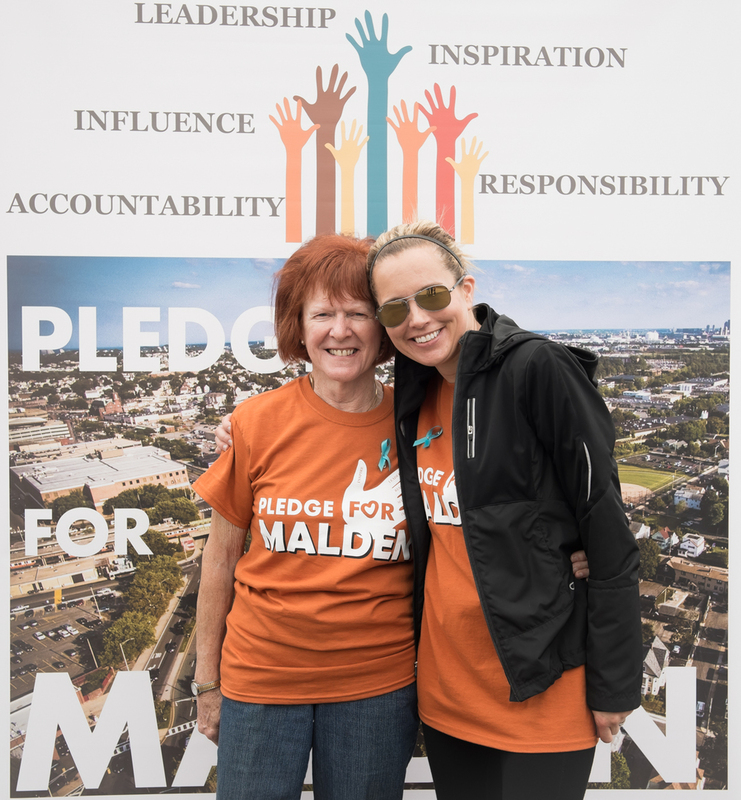 MOA was proud to be a part of todays Pledge for Malden at Macdonald Stadium. 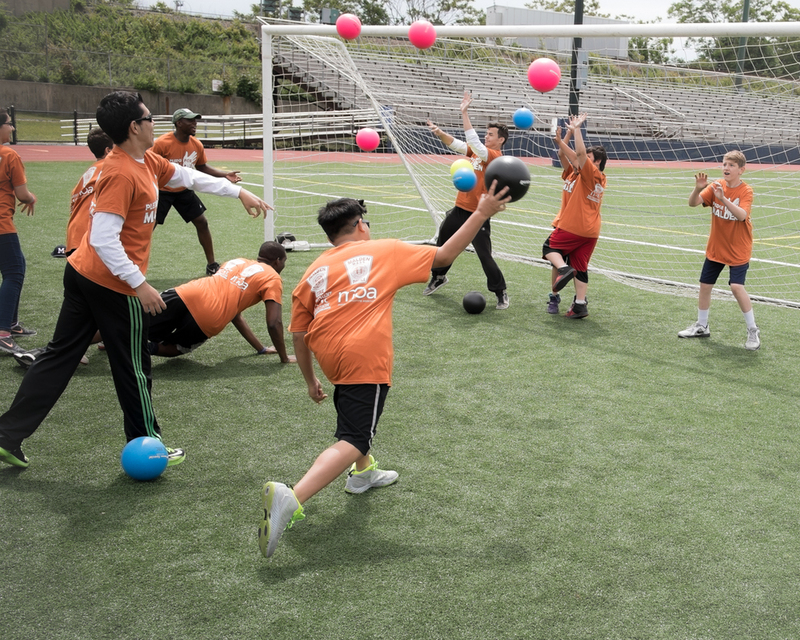 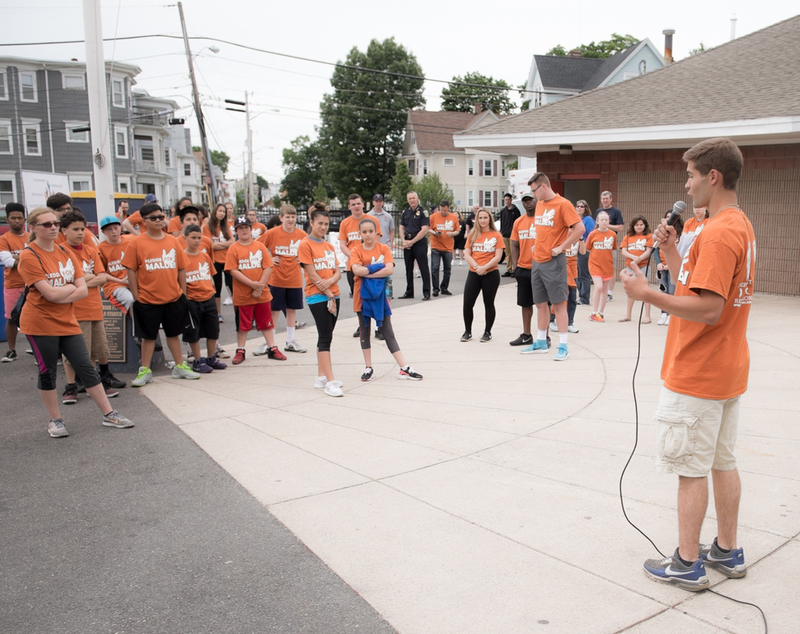 This free event was organized by the Malden Recreation Dept. 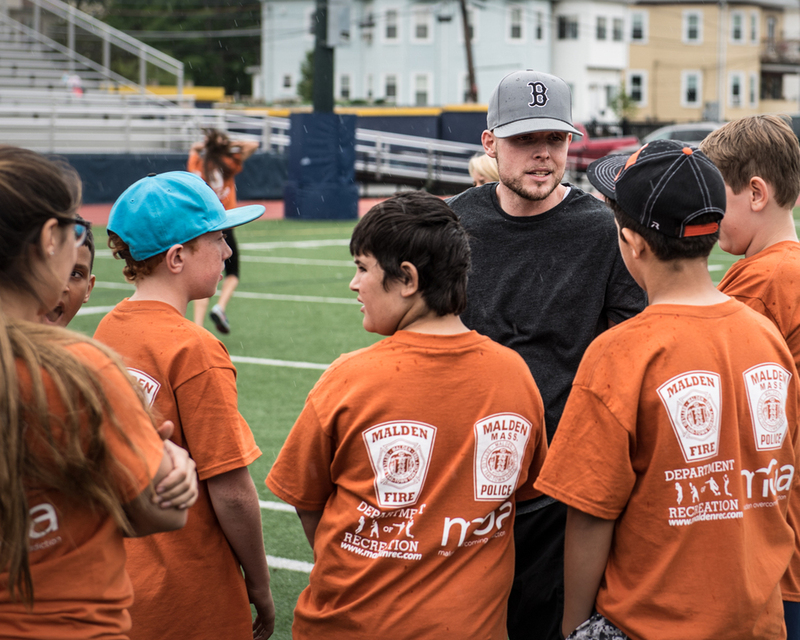 in partnership with MOA, the Malden Fire Dept. 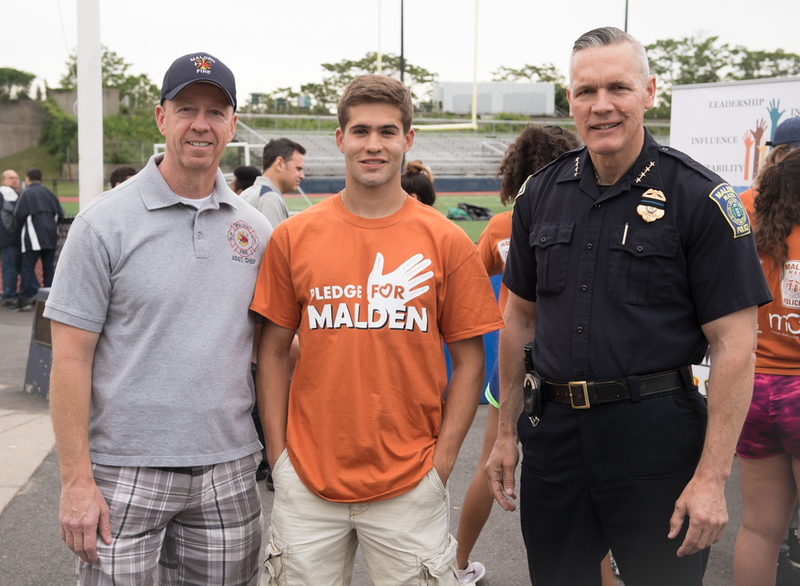 and the Malden Police Dept. 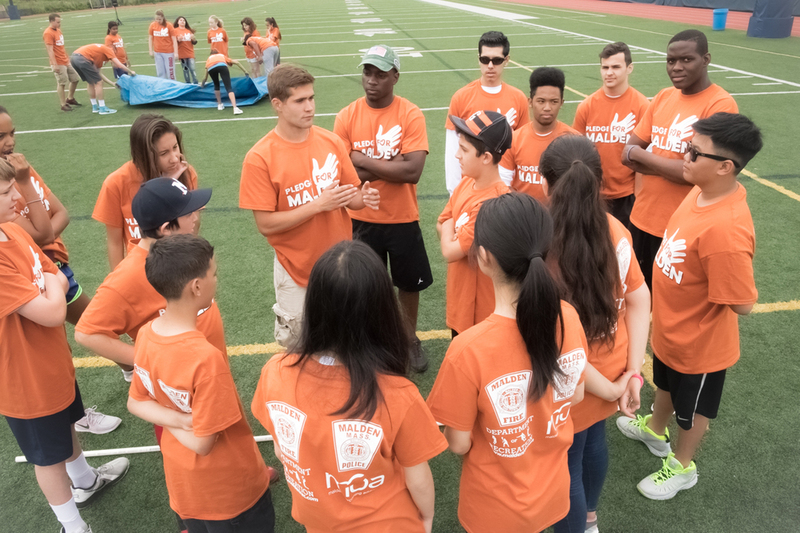 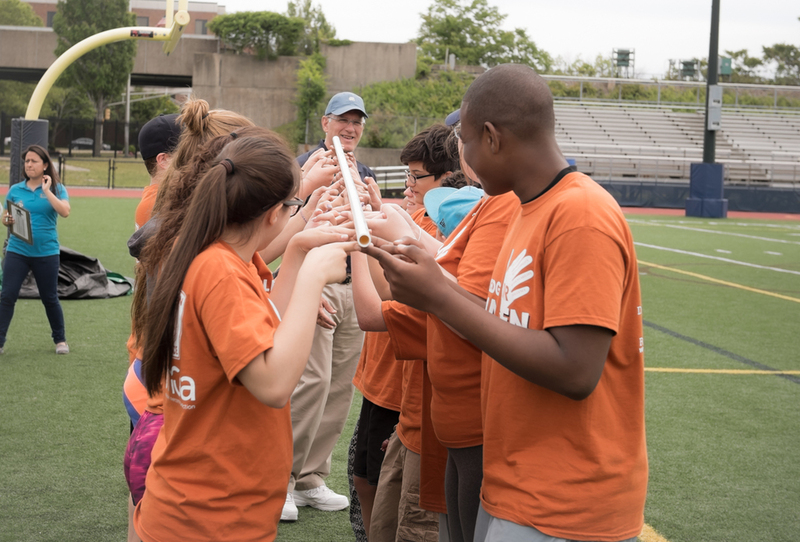 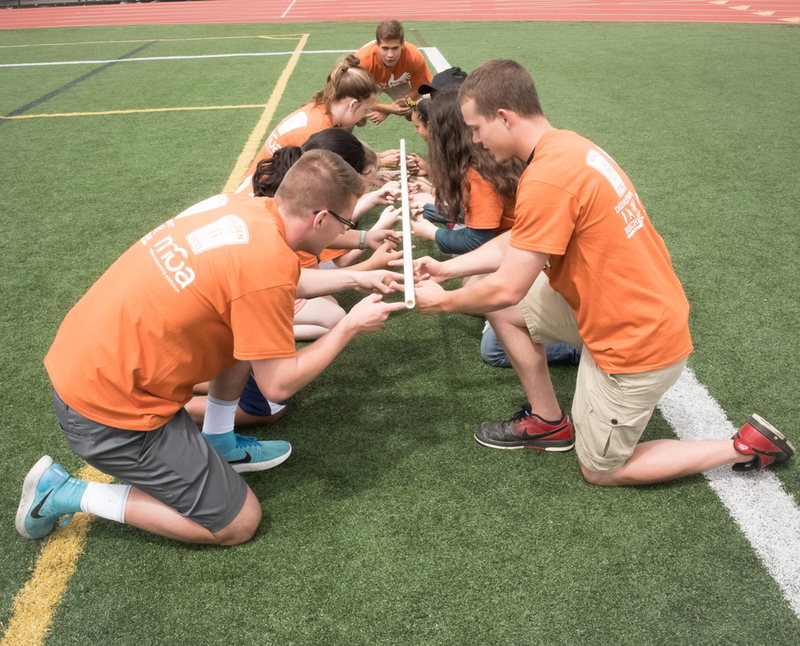 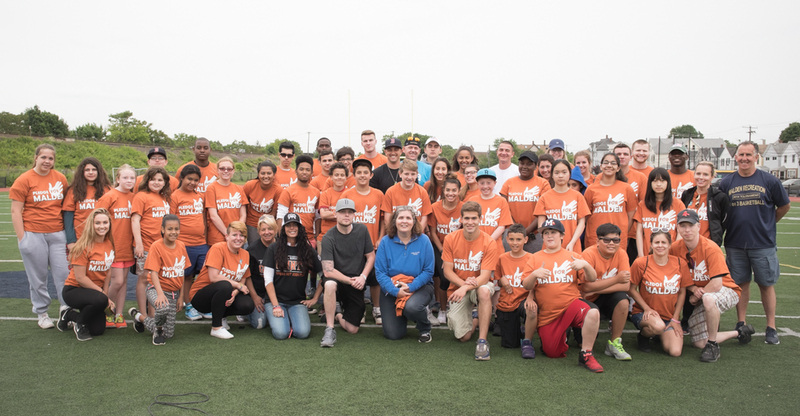 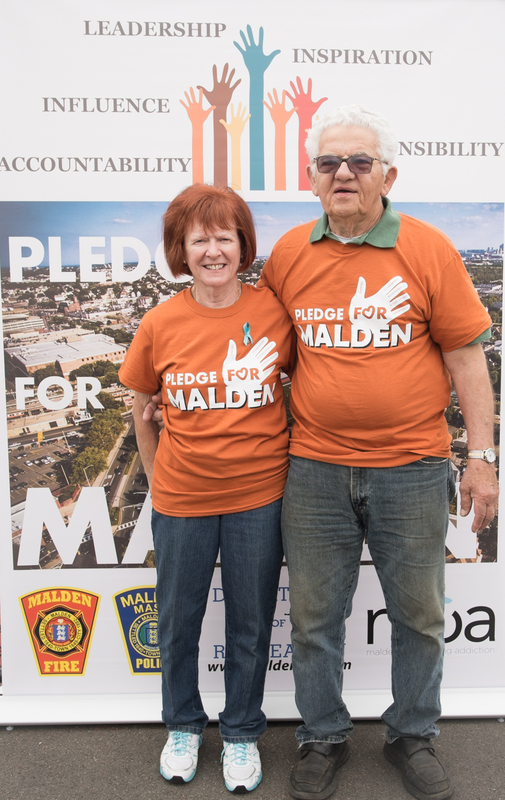 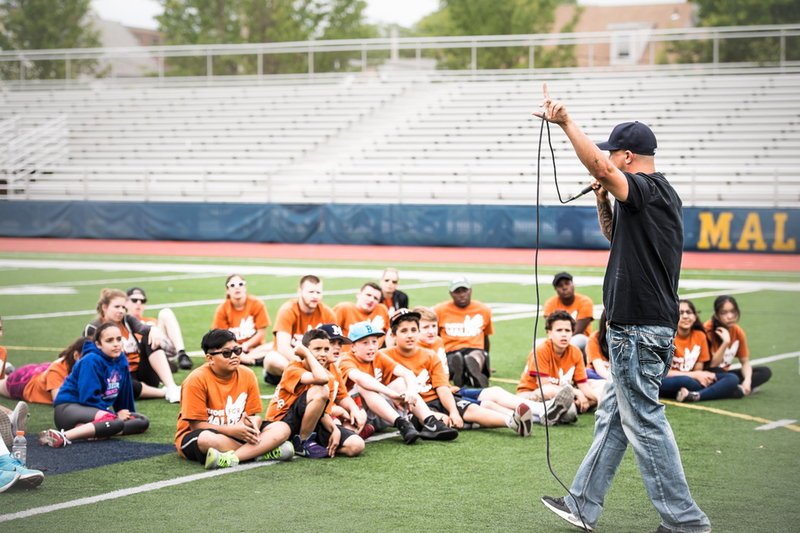 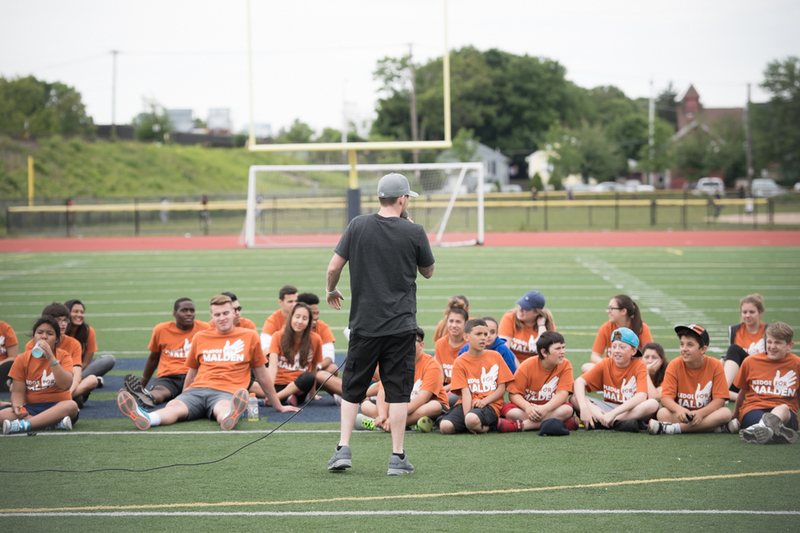 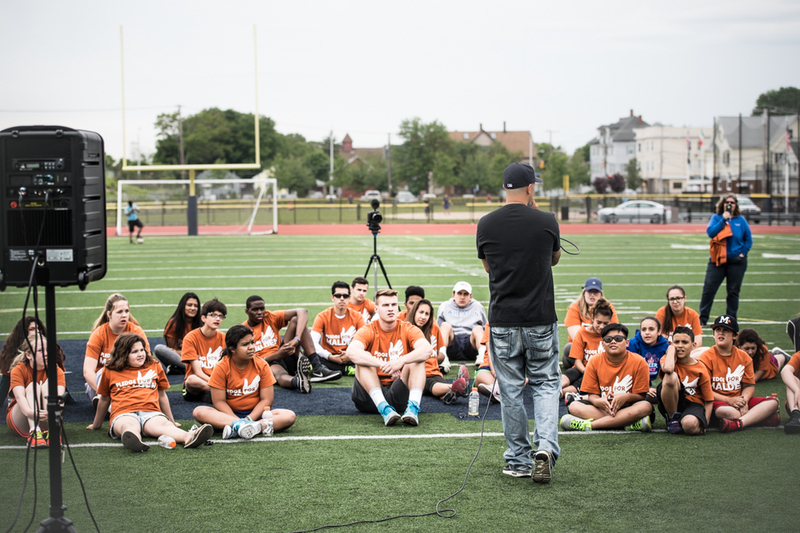 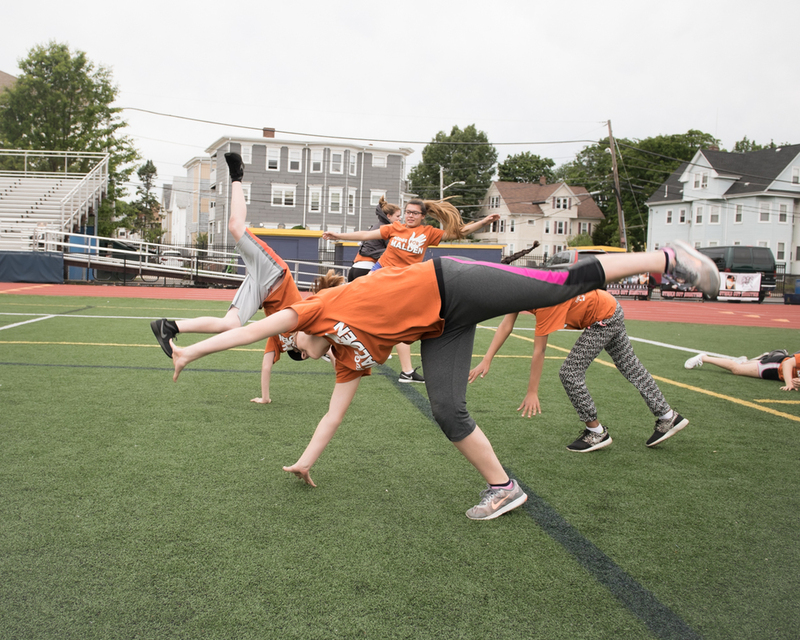 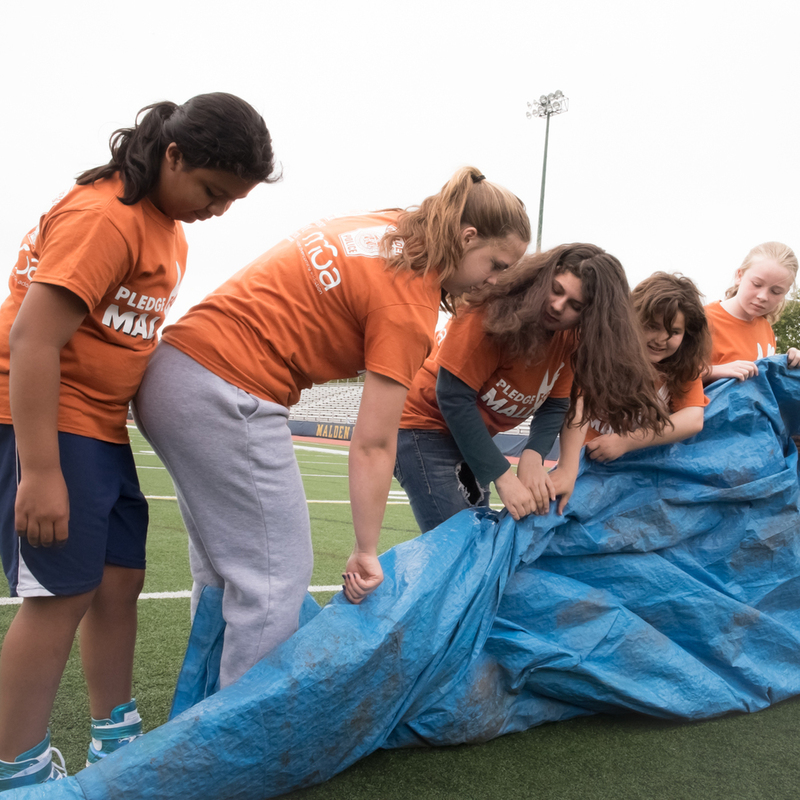 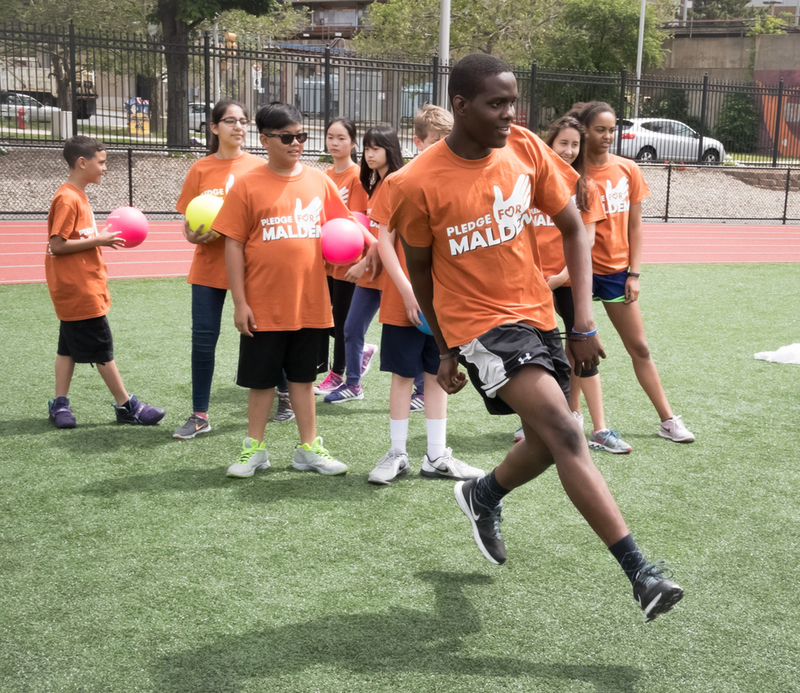 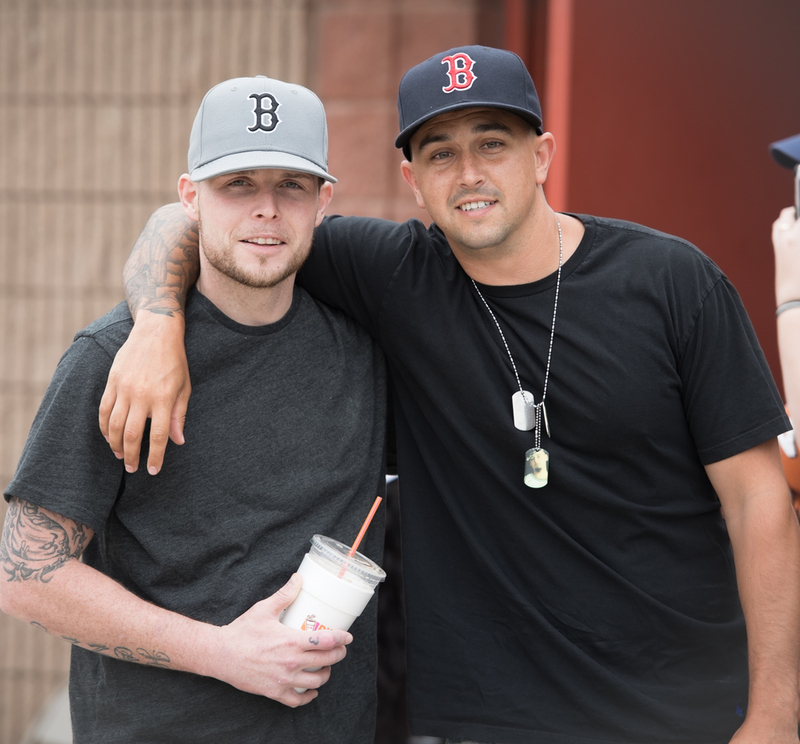 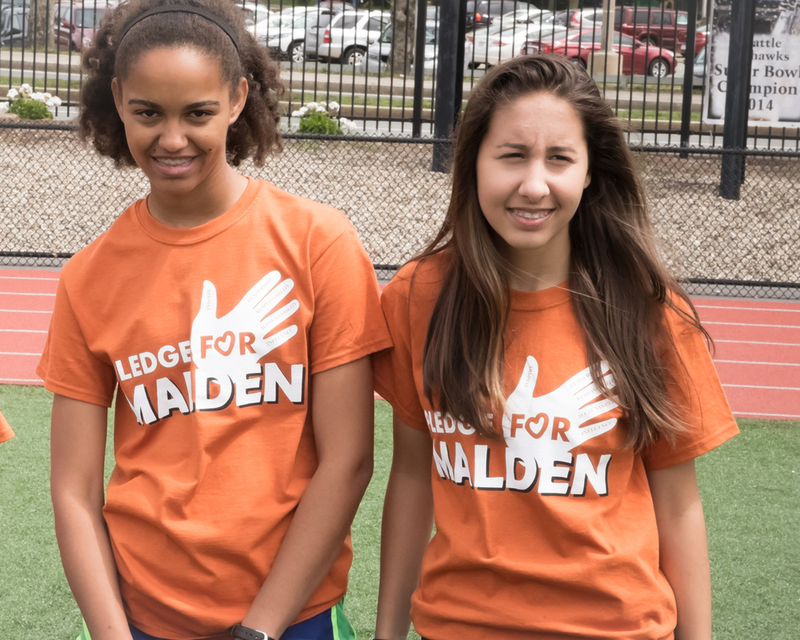 Pledge for Malden was the brainchild of Malden High School grad Bobby Madden who lost his cousin Dayne to addiction and vowed to try to educate Malden's next generation about the dangers of drugs and the importance of good decision making. 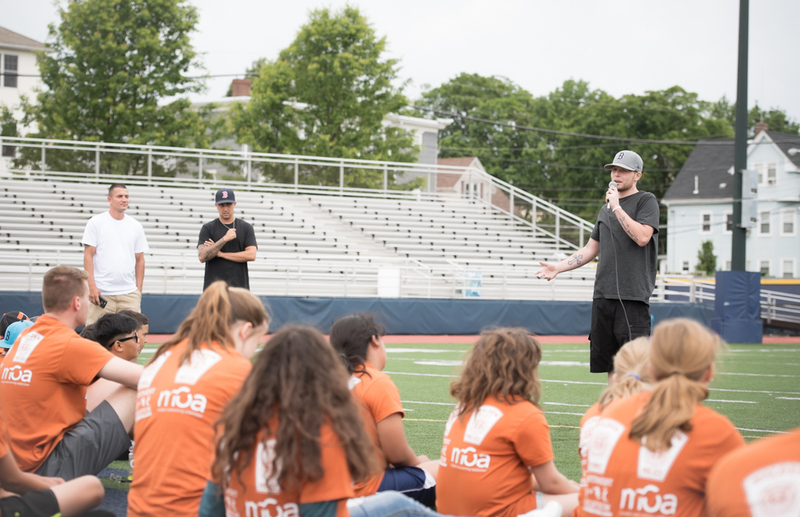 Students in grades 5-8 participated in team building activities, listened to guest speakers Matt "The Poet" Ganem and Eddie Comeau, played some games and most importantly, took "The Pledge". 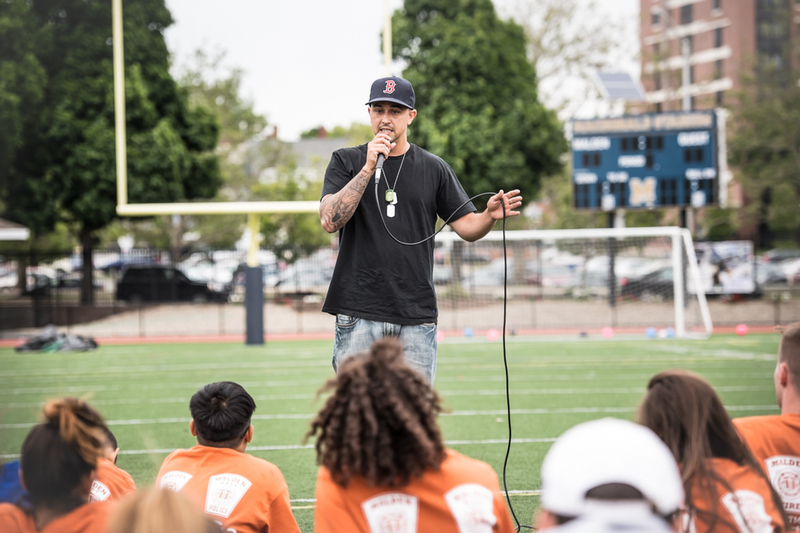 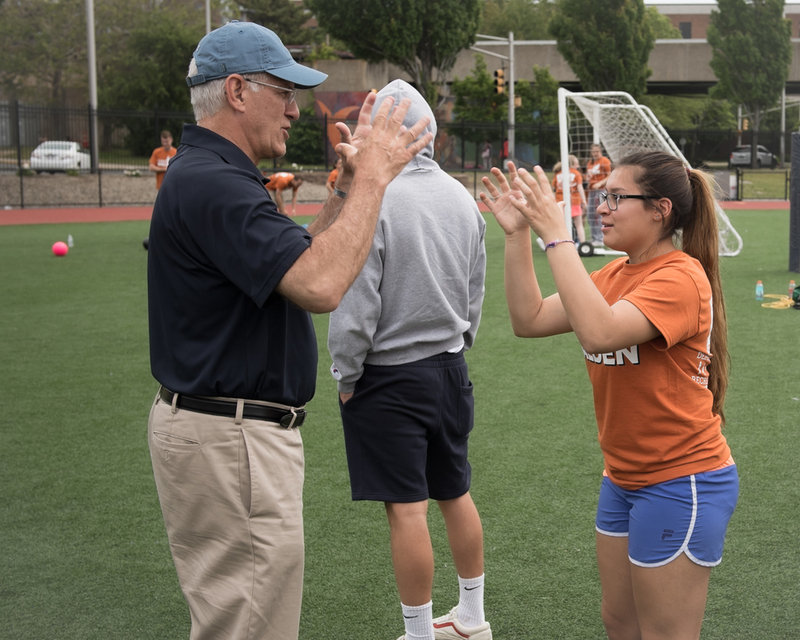 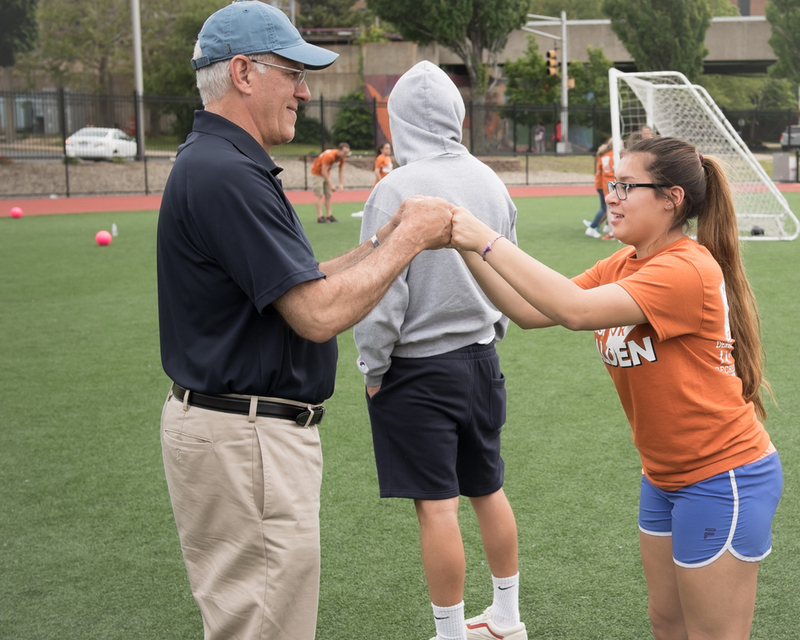 Students pledged to be positive leaders among their peers, to not succumb to the temptation of drugs and to be accountable to their family, their friends, their community and themselves. 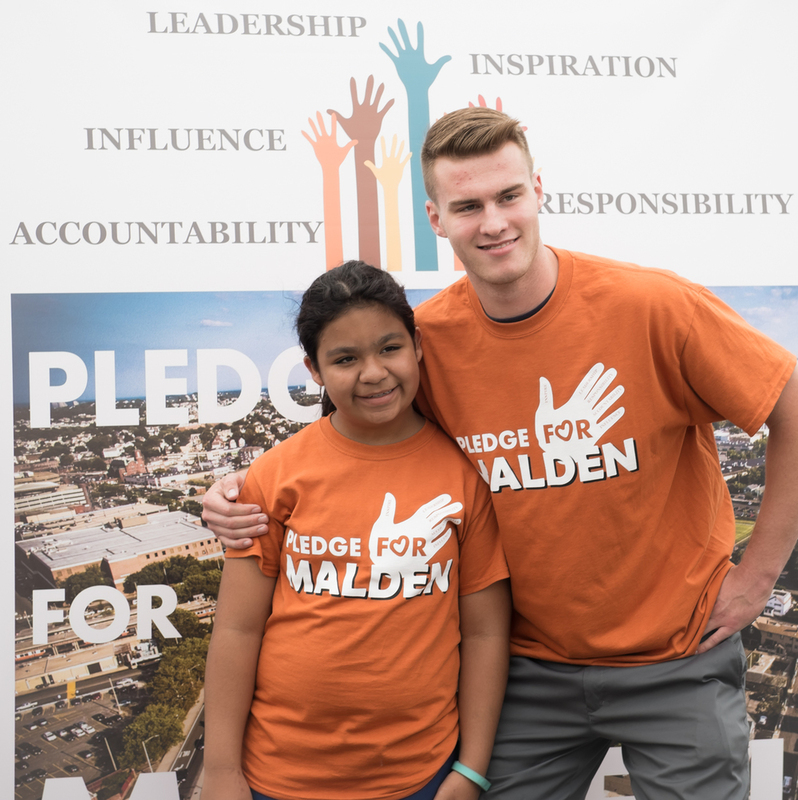 Each student went home with a signed copy of the pledge, a picture of themselves in front of the Pledge for Malden banner and a Pledge for Malden t-shirt. 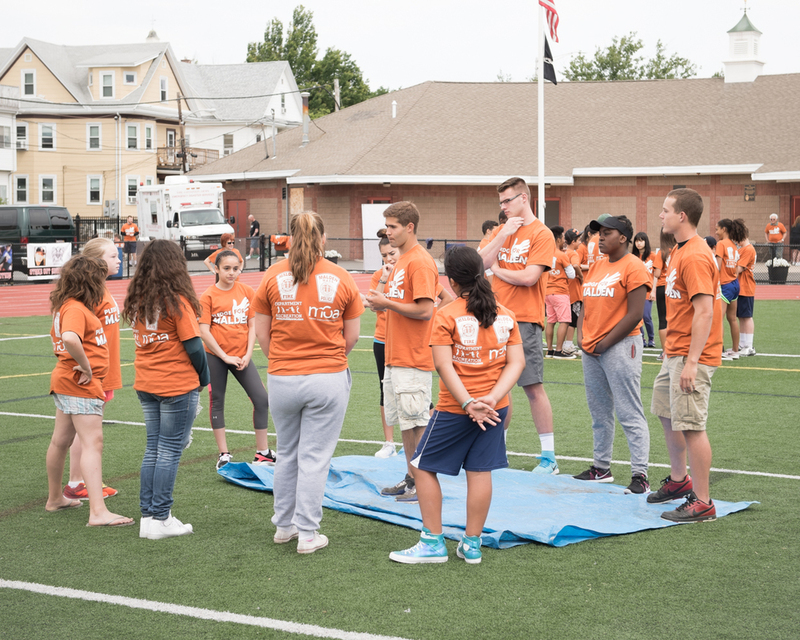 Snacks and drinks were generously provided by the Malden Salvation Army and Dom's donated a portion of the lunches served to the kids. 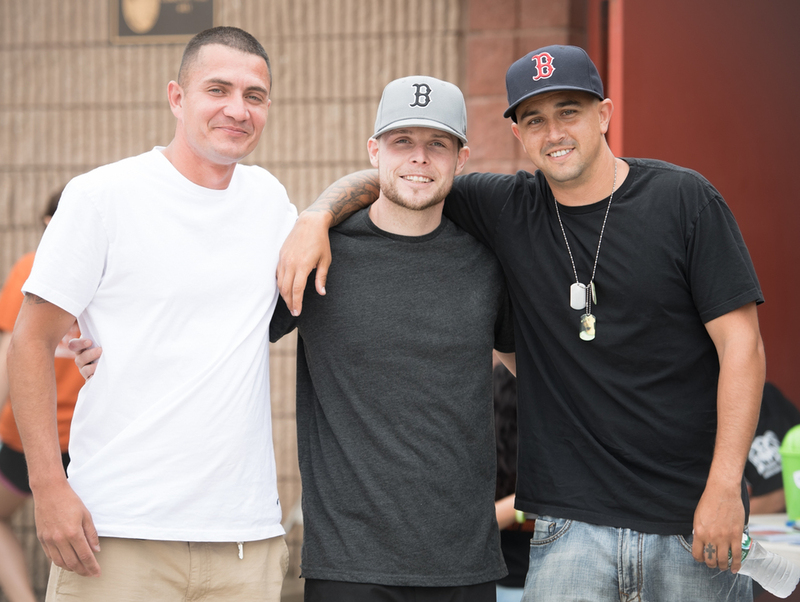 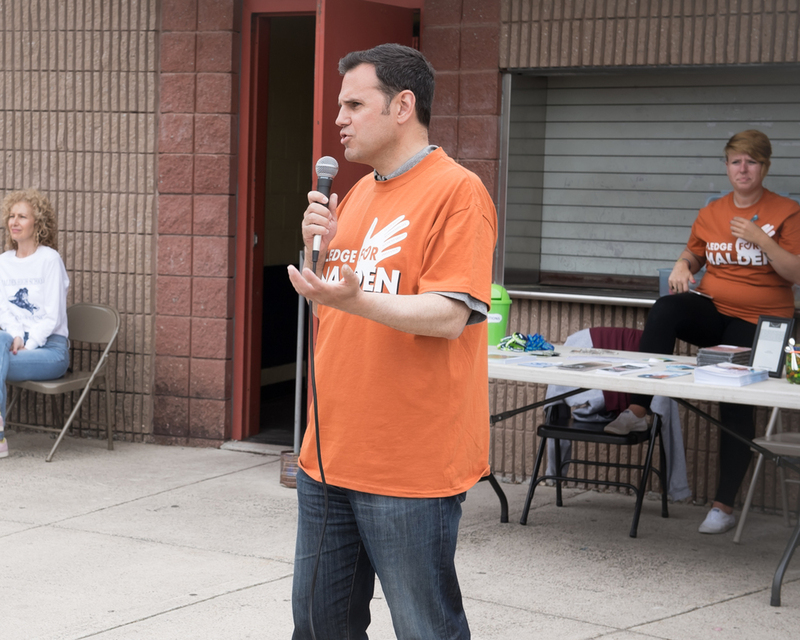 It is the hope of all involved with this event that this would be just one of many ways that we as a community continue to try to educate, empower and inspire our next generation and stop addiction in its tracks.